Happy (ugh) Monday, everyone! This will be my first review as promised yesterday. Beware, spoilers ahead! "And so, the lion fell in the love with the lamb." "What a sick, masochistic lion ." I'll never forget those lines in my lifetime. ._. Anyway, the ending definitely made up for it. Not only were Bella and Edward an item (I didn't imagine it to be so quick! ), the whole Cullen family minus Rosalie came to accept Bella into their lives. I could relate with each and every one of the Cullen family and their weird antics. But most of all (and not because it was told in first-person), I could feel the emotions of Bella throughout the story. One who came from sunny Phoenix chose to live in gloomy Forks after initially despising it to be with her soulmate. Simply an awesome read. But I'm probably just reacting like this because it's my first romance novel, boo hoo. 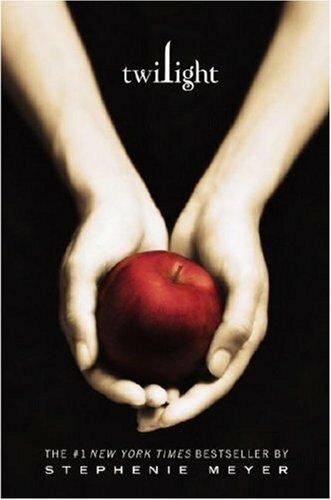 I've already returned the book back to my teacher (moment of sadness), but I'm eagerly waiting for New Moon, which she'll bring tomorrow! Yay! After reading this book, I immediately changed the status for the rest of the series to "Want to Read" on Goodreads, heh. Digression: I've finished The Lost Hero just today, so I'll write a review for it tomorrow! Also for tomorrow, Empire of Storms is out. Woooooooooo! Alright, guys, that's all from me today. Thank you for reading this post. If you'd read Twilight, tell me what you think of it down in the comments below!